Please all come out for this fun event. On this night, our new dancers will be joining the club. They been working very hard every Tuesday night over the last 6 weeks. Please make them feel welcome. This dance is also a belated Valentine party so wear your red (if you like). Visitors are welcome to join us for this event and on every Monday night! George Street United Church, cnr George and Mcdonnel. 7pm. 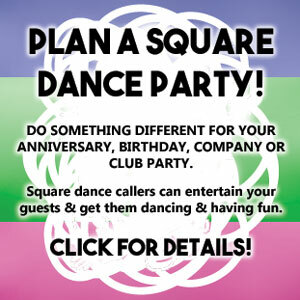 Beginners Square Dancing Every Friday Evening!